When Berta has names their newest collection after your city - you throw a party! Any excuse for a party, right? It was with great pleasure that we welcomed the newest collection by Berta, Berta Miami, to Chic Parisien. 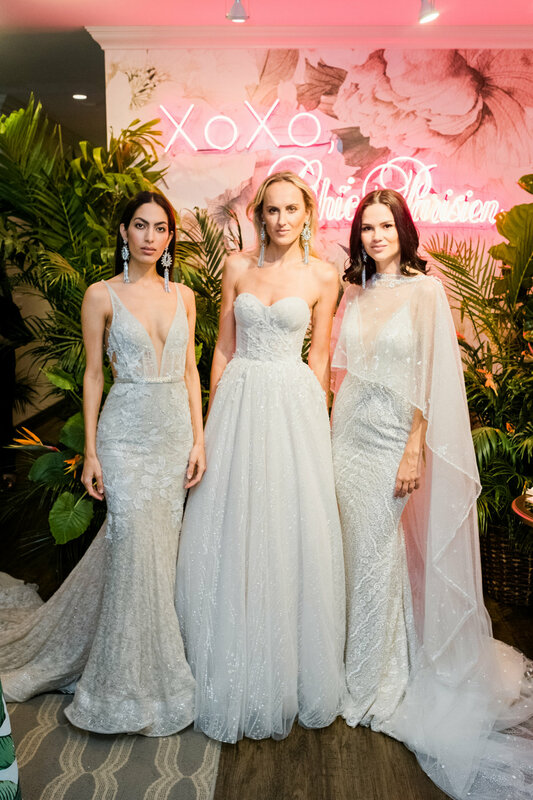 We invited industry friends, including many who we've long known on Instagram but hadn't had the pleasure to meet in person, for a night at the boutique showcasing the Berta gowns and unveiling our new photo wall! We're still swooning over the addition of this floral wall and our new XoXo, Chic Parisien neon sign. Make your appointment now to shop with us and take your photo in front of the sign when you say yes to the dress!